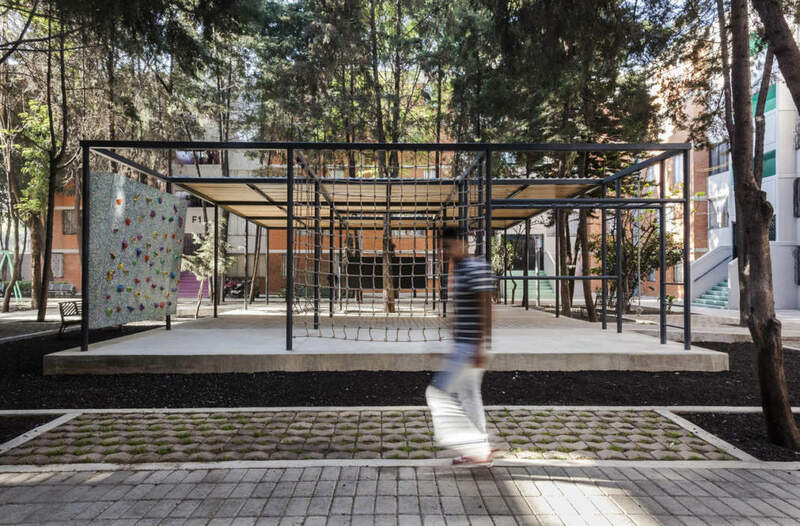 Common-Unity is a public space rehabilitation project for San Pablo Xalpa Housing Unit in Azcapotzalco, Mexico City. 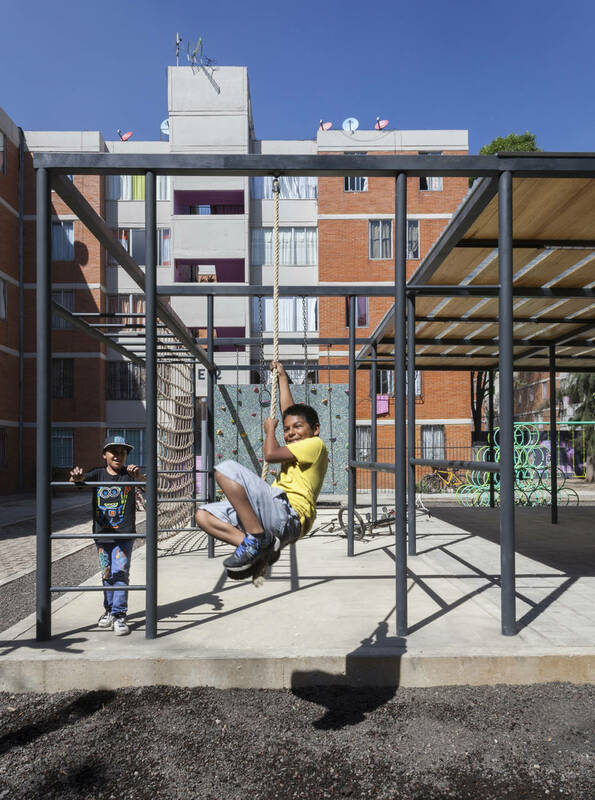 The unit used to be divided in sectors by walls, fences and barriers built by its inhabitants over time, which did not allow the community to benefit from available public spaces. The goal was to transform a “divided apartment unit” into a “neighborhood COMMON-UNIT” by designing with the community and not just for the community through the implementation of several actions. The project’ strategy was to work with the barriers created by its inhabitants: to permeate them, to democratize them and to grant them new meaning in order to create UNITY within the unit. Before, the inhabitants of the unit’s different sections recurrently implemented temporary coverings such as tarps in public areas for gatherings and parties, thus managing to extend their private area. 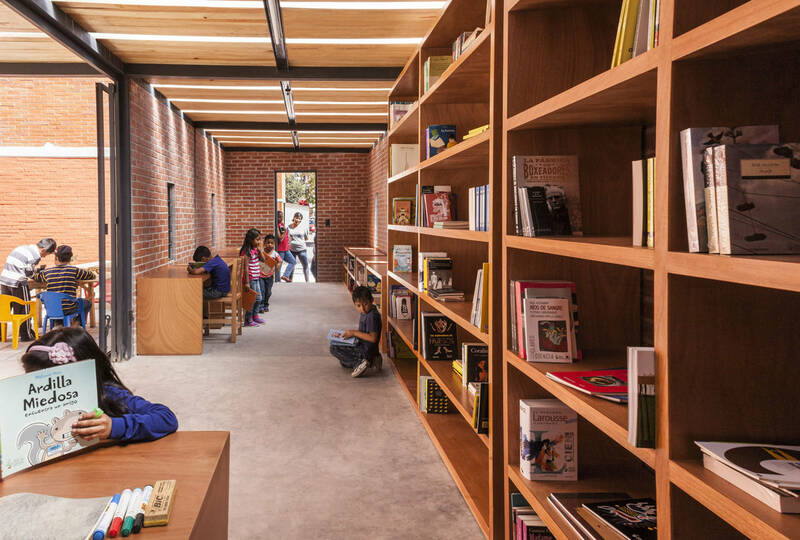 By working with them Rozana Montiel's firm managed to rescue the idea of covering certain spaces to be used as recreational and socializing areas. 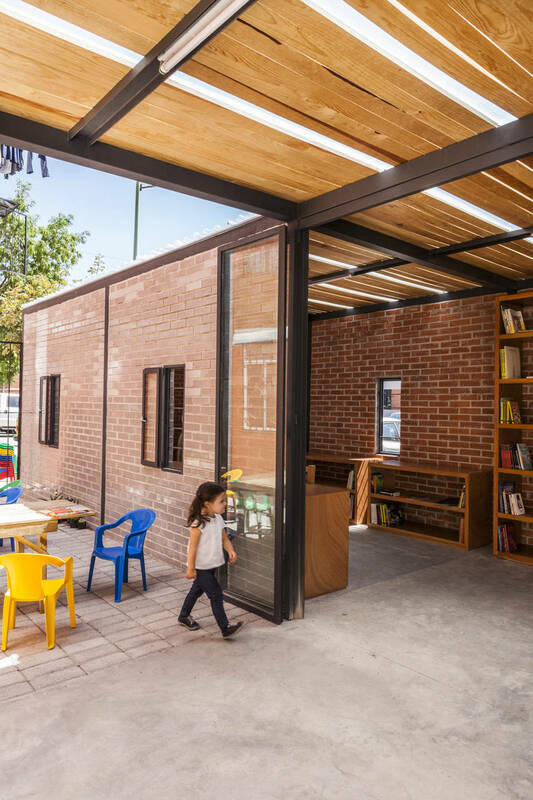 Roofed modules were installed and equipped for different activities (blackboards, climbing walls, handrails and nets), which is far better than covering with tarps. 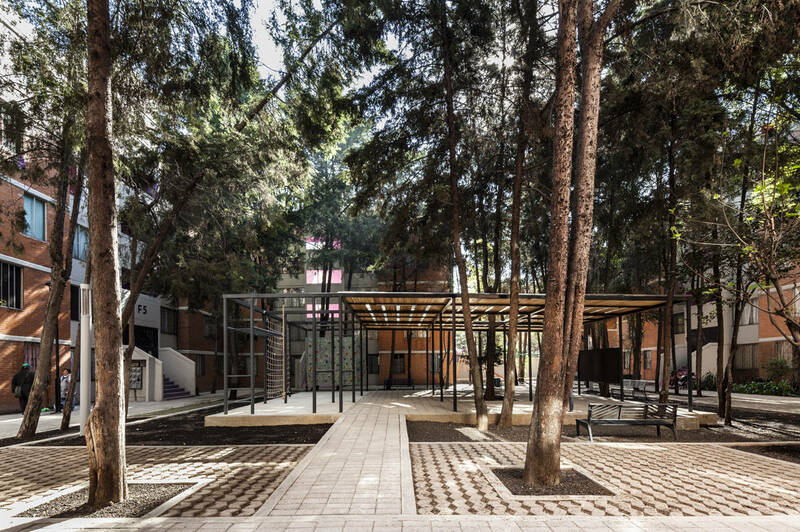 The recovered public space became an extension of each apartment. 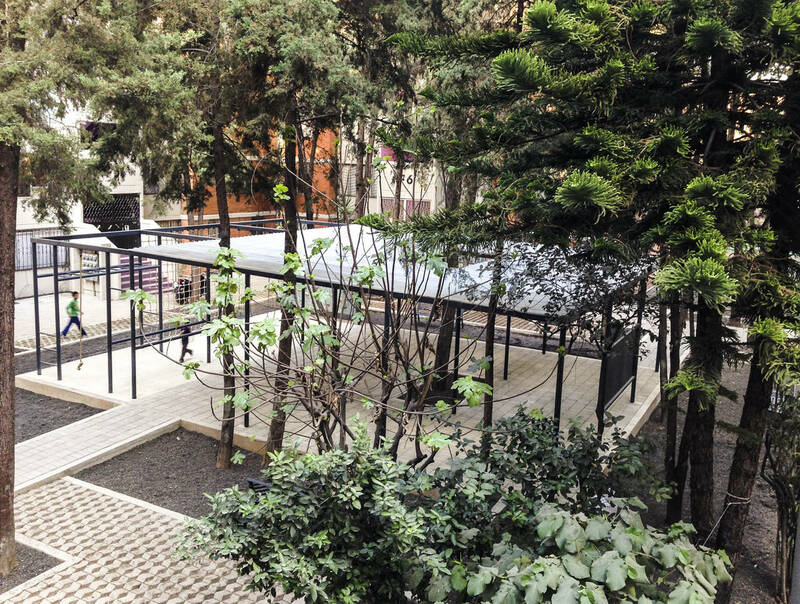 The strategy turned out to be efficient: people got together to contribute to redesign their unit and the change in public perception achieved was such that the neighbors themselves requested the fences be removed. 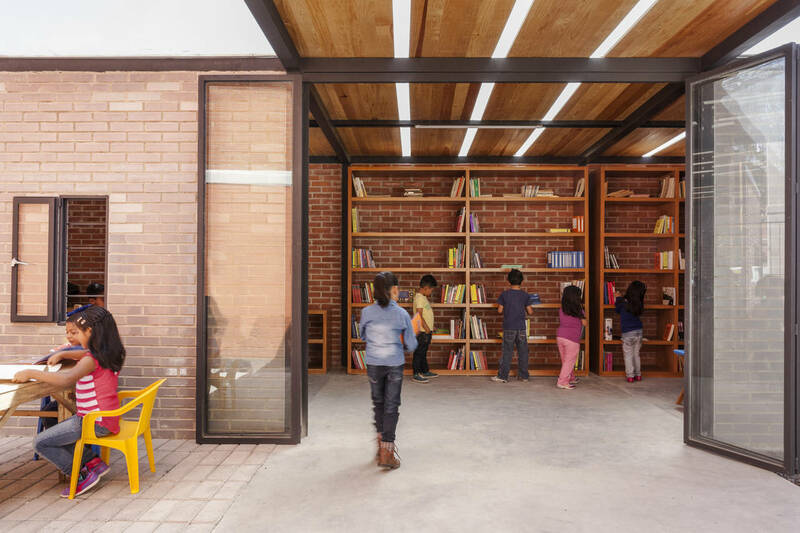 The space spoke for itself and the unit’s inhabitants decided to eliminate all barriers and to profit from exterior spaces thus filling them with public and common life.